Lately we've been talking a lot about Christmas, but what about Hanukkah? Hanukkah is a Jewish holiday that is celebrated over the course of eight days. Each day a new candle on the eight-branched Menorah is lit to commemorate the reconsecration of the Holy Temple in Jerusalem. That's why it's a festival of lights (Wikipedia). Present-wise, Jewish people have different customs just as Christians do. Some people get small gifts for each day of Hanukkah, and a bigger one at the end. The Flower Pot's mugs might have Christmas names but the Holiday season includes all holidays, like Hanukkah. People looking for a perfect gift for Hanukkah should look no further. Our mugs are fully customizable. If you send us your image and your text, we'll print them onto the mug for you. Those of you who are hoping to save a couple dollars this year are in luck. The Flower Pot's coupon codes are back and to save on your personalized mug, type "SANTA202" during the payment process. You'll automatically get 20% off! 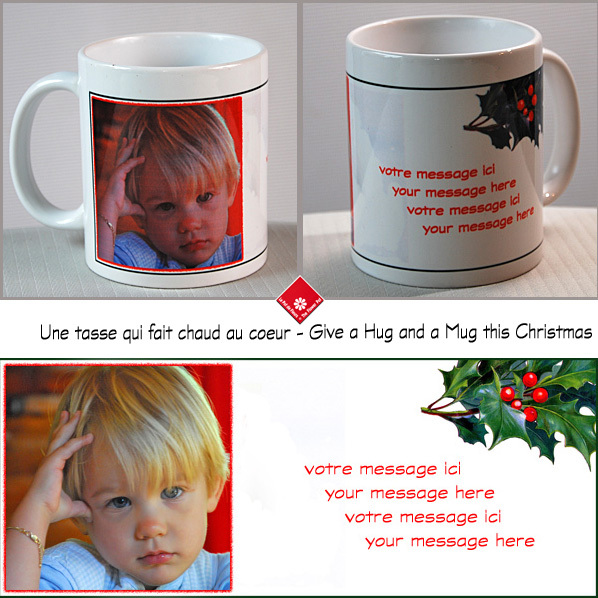 As promised, here are a couple of other ideas: people celebrating Christmas could get our Lazy Boy Christmas mug. No need to think about a message because we've thought of one for you. We've made an in-house Christmas tree design that includes a Merry Christmas message in ten different languages. The "SANTA202" coupon code applies to this mug too. For the higher rollers, why not go for a Sparkling Christmas this year? Get a beautiful white rose arrangement with your bottle of Québec-made ice cider from Pinnacle. Not good enough for you? We'll be only too glad to help you out! Call us at 514-938-1234, or drop by for some friendly advice!